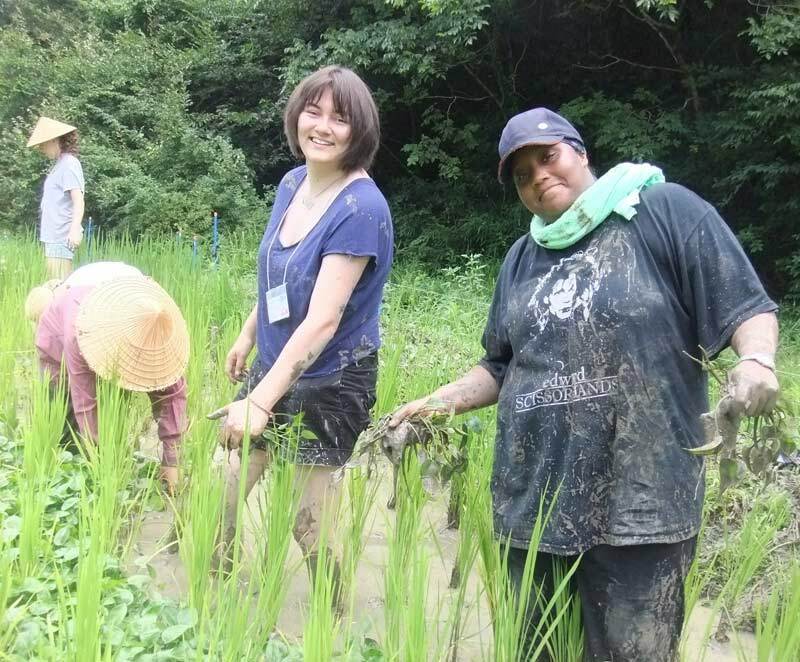 When that morning we heard we were going to the community of Asuke to pick up weeds from the rice fields, it sounded like a cool experience but doing it was a complete whole new deal. Not only did we put our feet with just sox in the mud and picked up weeds from the rice fields, we also discovered a complete new world of flying, swimming and jumping bugs we had never seen before. Anywhere from frogs to flies to spiders to worms. They were all there, waiting for us to put our hands in the mud to jump, swim or fly either away or towards us. The truth is, even though it wasn’t that pretty we had a great time going through the experience together. This was for sure a lifetime experience, not only coming to Japan but putting our feet in the mud, dealing with the bugs and doing it all with a bunch of friends from all over the world. Where else can you do something like that? where else can you get to experience this kind of things. World Campus – Japan is THE unique access to Japan. Today more than ever, it teaches us to appreciate how comfortable we are at home and how to appreciate other people’s work.